Friday, April 5, marks National Go for Broke Day, a commemoration of the spirit of the brave Nisei veterans who gave their all for their country and the dignity of their families. 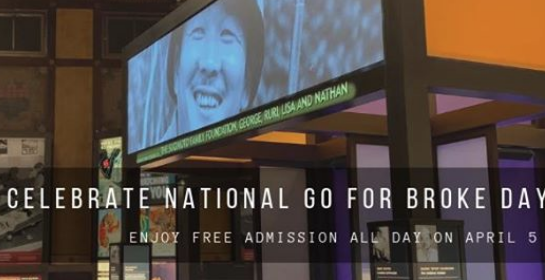 The Go For Broke National Education Center, located at 355 E. First St. in Little Tokyo, is inviting its fans to share in this national commemoration and spread the word about the Japanese American veterans. • Visit GFBNEC’s “Defining Courage” exhibit and enjoy free admission all day. • Stay tuned for the launch of GFBNEC’s IGTV (Instagram TV) channel at @gfbnec, which will kick off with a special episode featuring the nephew of two Nisei veterans, and GFBNEC President Mitchell T. Maki. • Post a photo on Instagram or Twitter showing how you embody and represent Go For Broke pride. Is it a special family heirloom, a shirt you wear often, a piece of jewelry, or maybe a tattoo? Tag @gfbnec in the photo and be sure to use #NationalGoForBrokeDay in your description. 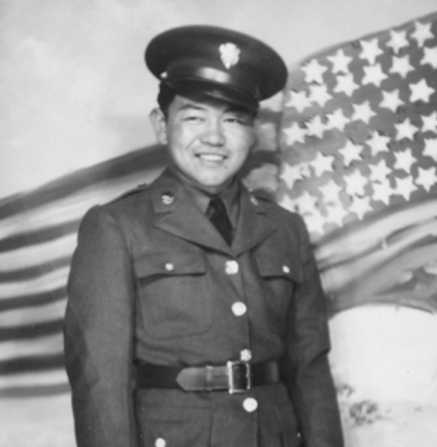 National Go for Broke Day is observed in honor of Private First Class Sadao Munemori, who was posthumously awarded the Medal of Honor immediately following his selfless sacrifice to save his men at the Gothic Line on April 5, 1945. The unit continued in battle near Serravezza, Carrara and Fosdinovo, Italy until April 14, 1945, and received the Presidential Unit Citation. The 442nd Regimental Combat Team received eight Presidential Unit Citations, 21 Medals of Honor, and 9,486 Purple Hearts, among other honors, and was the most decorated U.S. military unit for its size and length of service. For more information, call (310) 328-0907 or visit www.goforbroke.org.